With over 16,000 attendees, hundreds of sessions, and nonstop networking opportunities, WPC 2016 will keep you engaged and exhilarated. 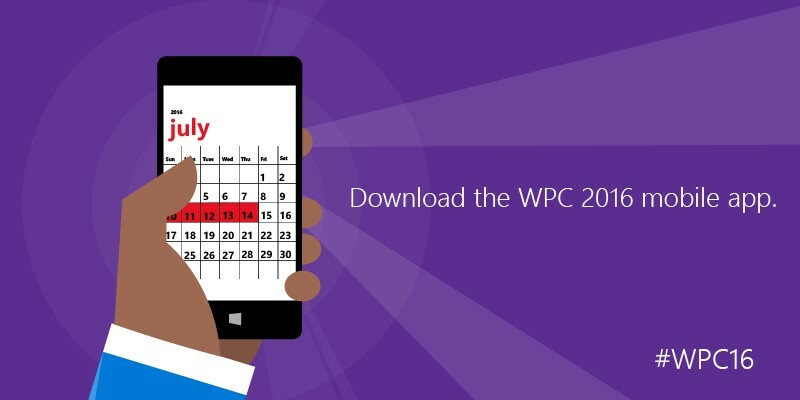 To be sure you are maximizing your time onsite, we have prepared a number of resources to help you navigate the conference, including the WPC 2016 mobile app. This powerful app features a simple interface, allowing you to easily find the sessions you want to attend or the sponsors and exhibitors you want to meet with in The Commons. You can even submit your session evaluations through the app for a chance to win a prize. If you need help finding your way around the Metro Toronto Convention Centre (MTCC) or even around the Toronto area, you can access maps in the app, too. All the great information found in the WPC conference guide is also at your fingertips in the mobile app. Looking to complete your mobile WPC experience? The app has direct integration with your WPC Connect profile to bring your WPC experience to your mobile device. This integration enables you to make last-minute changes to your schedule through the app, and see them automatically updated in your WPC Connect profile—and vice versa. The same great filter and search capabilities of WPC Connect are also available in the app, allowing you to find the sessions, speakers, partners, and Microsoft employees you are looking for quickly and easily. Be sure to download the app before you head to Toronto—it’s perfect for partners on the move. Just log in with the Microsoft account you used during the registration process, and you’ll have instant access to your WPC profile and schedule. If you haven’t already, make sure you also take a few minutes to read through our comprehensive Know Before You Go guide and the WPC 2016 Conference Guide—you will find tons of helpful information covering everything from shuttle routes to where you can find food and beverages while on the conference floor. For even more tips and tricks, visit our WPC Logistics page.